Biopics centering on the lives of famous musicians are nothing new. Movies like Ray and Walk the Line turned them into easy Oscar bait, while this summer’s Straight Outta Compton proved that they could still carry a powerful emotional punch when done correctly. One such biopic that has spent years in development hell is a film centering on the life of iconic Queen front man Freddie Mercury. Just when we thought the project had bit the dust – let us have that joke – it now seems that it has found new life. Collider reports that the biopic has finally nailed down a writer in the form of Anthony McCarten. McCarten is arguably best known for his recent work on The Theory of Everything. 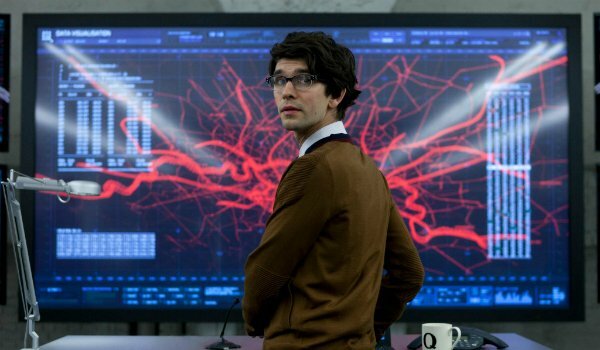 In addition to McCarten’s involvement, Collider has also revealed that the current front runner to portray the iconic rock and roll front man is none other than Ben Whishaw, who is perhaps best known for his portrayal of Q in the two most recent James Bond films, Skyfall and Spectre. Many of the problems that arose during initial development of the project stemmed from the film’s original leading actor: Sacha Baron Cohen. The infamous comedian fought tooth and nail to ensure that the project received an R-rating, leading to numerous creative differences with other members of the creative team. Cohen’s departure effectively had killed the project – until now. Ben Whishaw getting the role of Freddie Mercury would be a monumental moment not only for the film itself, but also for the LGBT community at large. Unlike previous Freddie Mercury frontrunner Sacha Baron Cohen, Whishaw is an openly gay man – just like Mercury himself. There has been a great deal of controversy in recent years regarding the notion of heterosexual actors being "brave" by taking on certain controversial LGBT roles. An example of this would be 2013’s Dallas Buyers Club, in which heterosexual actor Jared Leto won an Oscar for taking on the role of a transgendered individual. Whishaw portraying Mercury would make a statement that there’s a place for both LGBT actors and characters in today’s cinematic landscape. Despite the apparent progress, the project still has quite a ways to go before we can even think about seeing it on the silver screen. McCarten has just been hired to pen the script, and Ben Whishaw has not officially been signed to the movie yet. Even still, this news serves to keep hope alive that we may still get to see a biopic chronicling not only the life of an LGBT icon, but also one of the best singers ever to come out of the rock and role genre. We will keep you updated on the project as more information becomes available.